Allegra Boverman/Gloucester Daily Times. The Rockport/Newburyport Commuter Rail Station terminus in Rockport. The MBTA plans improvements there. 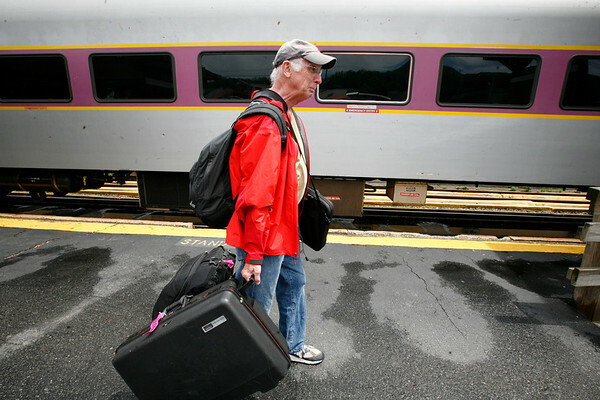 Chris Hague of Park City, Utah, gets ready to board the train for home. He visits relatives in Rockport four times a year for a month at a time.